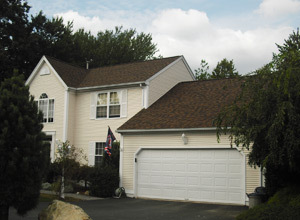 R & R Roofing has been providing Rhode Island with roofing services for over 33 years. We offer residential roofing, vinyl siding, replacement windows, basement refinishing and home inspections. We're a fully licensed and insured contractor and all of our work is guaranteed. Owner, Mr. Richard Rossi, is on every job so you can trust that each project reflects the superior standards of R & R Roofing. We are confident that our roofing and home improvement services will maximize your dollar as well as increase your homes beauty and efficiency. With 33 years in the industry, R & R Roofing has generated an extensive catalog of happy clients. We work closely with our clientele to ensure perfection on every roof and home improvement project. We're able to handle installation, maintenance, and repairs. Please visit our Gallery to view examples of our past work.